Step 1: Sign-up to follow this Challenge. You will receive regular updates about the application process and each stage of the competition. Step 2: Stay tuned for your invitation to join a facilitated discussion (to be held March 5, 2019) to learn more about Social Security and older workers. Participation in this training event is a requirement for competing in the Challenge. Expertise in Social Security policy is not a requirement for participation in this Challenge. The Academy will work with applicants to develop policy ideas that are innovative, feasible, and have the potential to improve economic security for this target population. The application process will include a day-long facilitated discussion to provide potential applicants with basic information about Social Security and related benefits, as well as relevant research findings about the income needs of the target population. Applicants will also have the chance to ask questions of, and receive guidance from, experts in the field as needed/relevant. 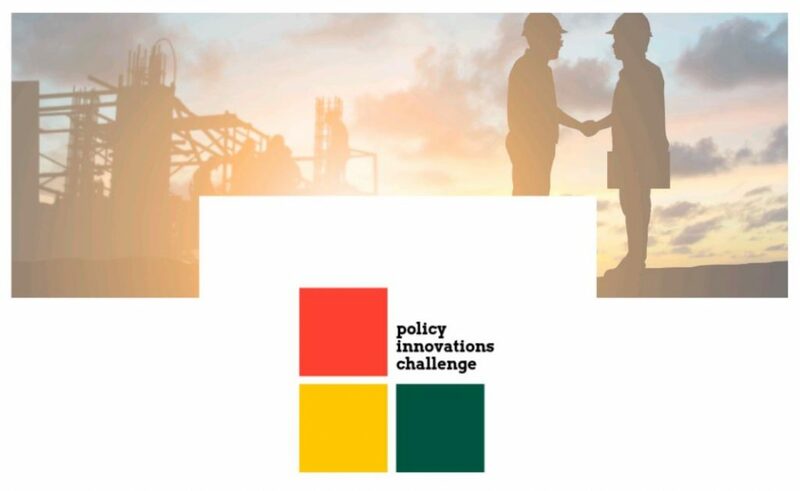 » Potential applicants will participate in a facilitated discussion (early March 2019) to learn about the nature of the policy issues the Challenge seeks to address and the process for administering the Challenge. » Applicants will have the opportunity to submit questions to the Academy and answers will be shared with all applicants via this Challenge website. » In early April, applicants whose abstracts are selected to continue to participate in the Challenge will be asked to prepare a proposal. During this phase of the process, applicants will be assigned an adviser to assist with the completion of their proposal. » By Thursday, October 31, 2019: Winning applicants will submit revised proposals based on roundtable feedback. The Academy will work with winning applicants to edit and format final proposals for publication. Applicants are required to address any concerns raised by the panel of experts prior to receiving final award payment. » December 2019: Full public announcement and release of winning proposals. Regardless of your level of expertise, if you intend to compete in the Challenge, participation in this facilitated discussion on March 5th OR one of the reprise sessions is required. If you were unable to participate in-person or via livestream on March 5th, two reprise sessions will be available on March 13, 1:00 p.m. - 4:30 p.m. and March 21, 9:30 a.m. - 1:00 p.m. Participants will include retirement policy experts from a variety of relevant academic disciplines and from policy development organizations, and advocates for low-income individuals, and for older workers, people with disabilities, and workers in labor-intensive fields. By attending this event, potential applicants will be able to increase their understanding of current Social Security policy – including retirement claiming ages, spousal and survivor benefits, disability benefits, and work rules. Thank you for participating in this Challenge. Please refer to the RFP for detailed submission instructions. Download the abstract submission template.